The last in my Christmas gifts for her series and this time the guide is for those are feeling spendy. 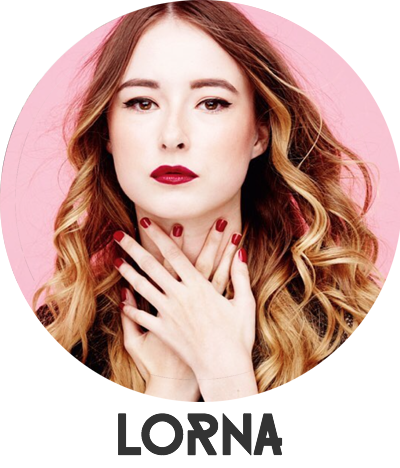 If you want to pick up a treat for someone that really deserves something special (and of course, you've got the budget for it) then I think I might have a treat or two right up your street. In this gift guide I'm talking the budget of over (around) £50. When it comes to skincare, 2016 has introduced me to one of my now, favourite skincare brands, Aurelia Skincare. I have absolutely fallen in love with the brand. From the packaging, to the quality of the products themselves, they are just incredible. I swear by the cleanser but I have fallen in love with the Aurelia Repair & Revitalise Gift Set, £60 this Christmas. The set all encased in their beautiful packaging features a mini moisturiser, full size night time facial oil and the most beautiful makeup bag. If you've been dying to try the Ole Henriksen skincare range, know someone that is or just know that someone would like the range, then the Ole Henriksen love the 3 little wonders set, £55.25 is perfect. The set includes the sheer transform, truth serum collagen booster and the invigorating night treatment. Really recommend this range! 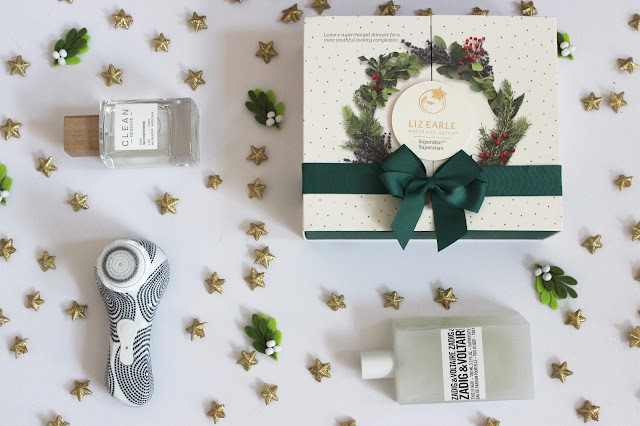 Next up in terms of skincare is from one of my all time favourite skincare brands Liz Earle and includes some of my absolute favourite products from them. The Liz Earle Superskin Superstars set, £80 is really incredible. The set includes the superskin serum, superskin eye cream and superskin concentrate for night, all worth £125 so such a bargain when you look at it this way. I absolutely adore these products and can't recommend giving them a go any more. The products are beautiful and the packaging is too. Cleansing brushes have been discussed and discussed for so long and Christmas is the perfect time to pick one up for someone that deserves a treat. I've fallen in love with the design of the Magnitone Barefaced! Vibra-Sonic Cleansing Brush by Heather Marten, £70. It's so beautiful, it works really well and comes with a free shower hammock for easy use. I am obsessed. For relaxing, Kiss The Moon is one of my absolute favourite brands and I have fallen in love with them this year too. They have the most beautiful gift sets, to the point where it was actually incredibly hard to choose my favourite but I went for the Kiss The Moon Calm Beauty Queen Gift Set, £68 and much like Aurelia, this brand is packaged so well. 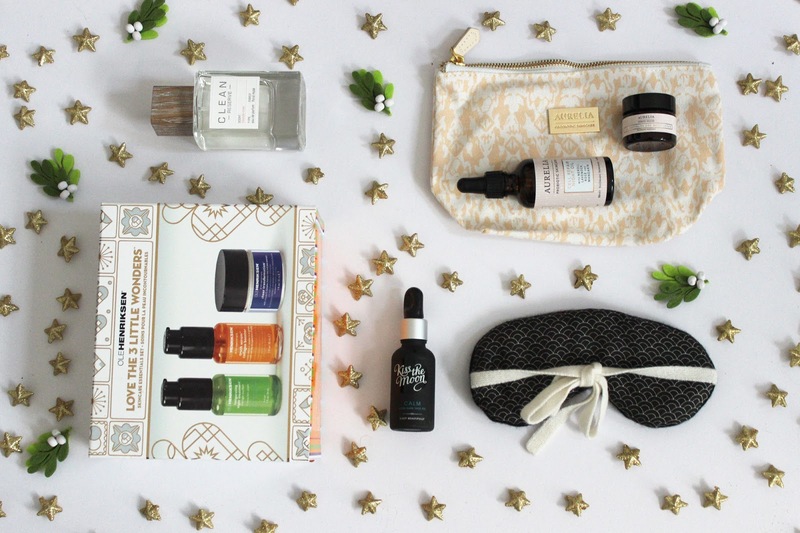 It includes a full size calm facial oil and the most beautiful cashmere and silk sleep mask by Row Pinto. It all feels incredibly luxurious and will be well needed when January comes around and we all need to catch up on our sleep. If you know someone that loves products to help them sleep or struggles to sleep, then another brand to think about is most definitely This Works. It's one of my absolute favourite brands right (I know I keep saying it but, really) and I swear by their pillow spray. 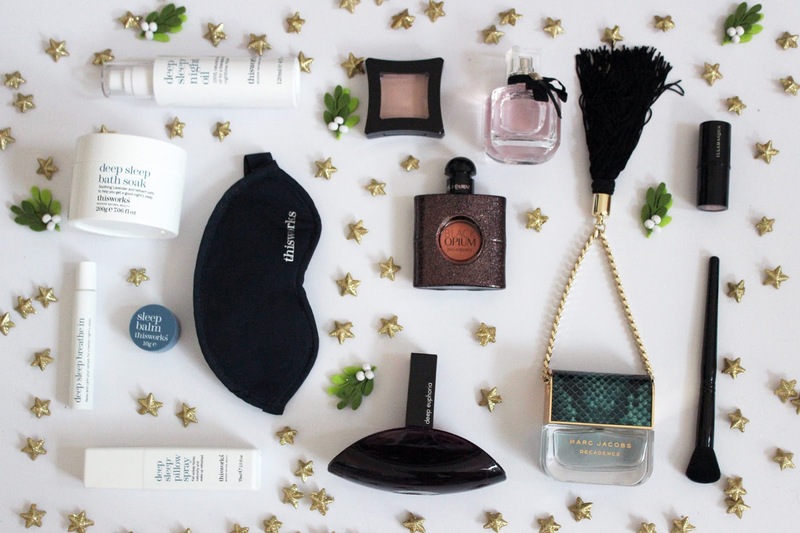 The This Works The Big Sleep set, £70 literally features full size products of all of the sleep product you would ever want to try from the brand including the softest sleep mask. I absolutely adore Illamasqua for makeup gifting as they group their incredible products together so well. My pick this year is the Illamasqua Chisel and Glow gift set, £50. It's in the most beautiful packaging and features everything you need to create a beautiful contour and highlight. The set includes the Gel Sculpt, Gleam Cream in Aurora and the Round Buffing Brush. I love each of these products and having them in the set is super cool. If you've got a bigger budget, fragrance is generally my go-to. I have got quite the selection of fragrance (and favourites in the process) but have narrowed down my picks to a few - though I want to write a run down on my fragrance collection soon to give you the lowdown on all of the scents I love but for now I'll keep it as short and sweet as possible. Another brand that 2016 has brought into my life is Clean Reserve. From the packaging, to the scent and to the incredible quality of the fragrance, I am just obsessed. I have the Clean Reserve Rain EDP, £79 and the Clean Reserve Blonde Rose EDP, £79 and both are super different to anything I've ever smelt before. Generally I am drawn to more unique fragrances and these are definitely that. You can pick them up in Space NK and I really recommend them. The Zadig & Voltaire This Is Her! EDP, £52 for 50ml is another new fragrance I'm obsessed with. Again it's a little on the unique side and the packaging is super cool and unique too. If you're looking for something to buy a couple, they do a matching This Is Him! fragrance too (my boyfriend has this and it's so lovely) so is such a treat for them both. The fragrance reminds me of the summer and I just know it's going to be my go-to once the sun starts shining again. If you don't really know what kind of fragrance the person you would be buying for would like going for something a little more for everyone could be a good idea. I've got a few fragrances that just about anyone would like, and they look truly beautiful too. These are the YSL Black Opium EDT, £54 YSL Mon Paris EDP, £66 Marc Jacobs Divine Decadence EDP, £64 and the Calvin Klein Deep Euphoria, £38.